Bloomberg reports that shortly after a fire broke out at the Notre-Dame cathedral in Paris on Monday, YouTube incorrectly identified live broadcasts of the accident as a September 11 conspiracy theory video. Below many broadcasts of the blaze was a text box from Encylopedia Britannica about the 9/11 terrorist attacks, this text box feature was designed to combat conspiracy theories on the platform. 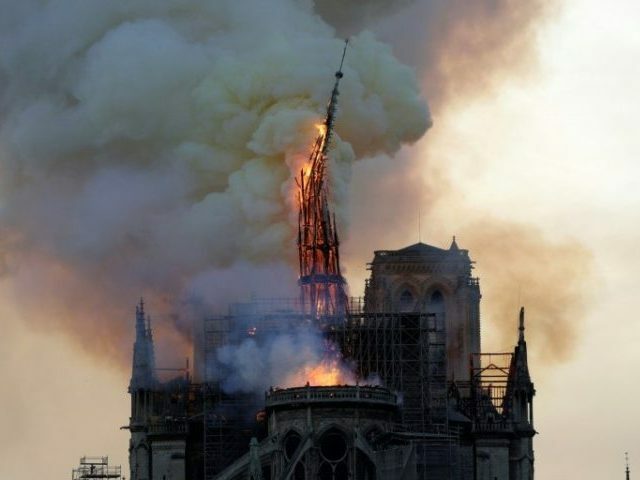 A YouTube feature designed to flag hoaxes mistakenly labeled a live stream of the Notre-Dame Cathedral fire as a 9/11 conspiracy. YouTube’s software mistakenly identified the smoke emanating from the Paris cathedral as footage from the 2001 terrorist attack on New York City, which caused the video to have the Encyclopedia Brittanica text box displayed beneath it. YouTube’s news algorithm has long been criticized for ranking certain outlets and search results above others; YouTube has claimed that it shows “tens of millions” of text panels – like the one seen below the Notre-Dame cathedral fire — alongside videos each week.